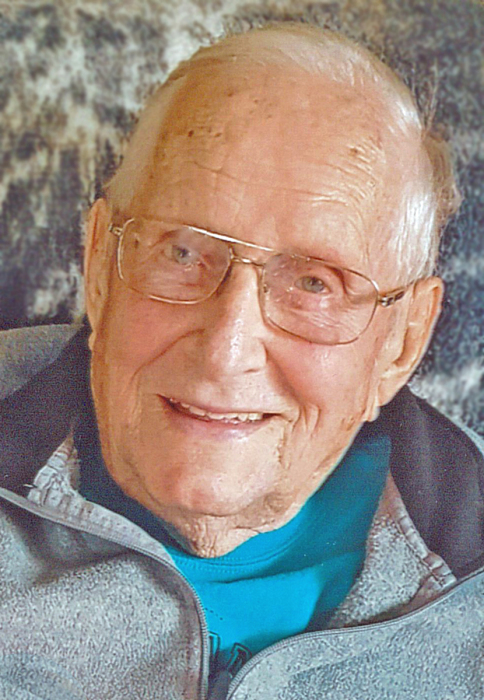 Roy E. Clark, age 88, lifelong resident of North Liberty, IN, passed away on Tuesday, February 12, 2019 at Creekside Village, Mishawaka, IN. He was born on July 25, 1930 in North Liberty, to Vern and Florence (Steele) Clark, both of whom preceded him in death. On April 18, 1954, Roy married the former Peggy J. Kaley, who survives. In addition to his loving wife of nearly 65 years, Roy is survived by his three children, Teresa (Rodney) Ozanich of South Carolina; Stuart Clark of Tyner, IN; and Teena Brancaleon of Edwardsburg, MI; grandchildren, Amy Berghoff, Raquel Vella, David Brancaleon, and Sydney Brancaleon; great-grandchildren, Collin, Emma, Landon, and Rodney; sister, Barbara Gavros of South Bend, IN; and brother, Terry Clark of Muncie, IN. In addition to his parents, Roy was preceded in death by sister, Jeanette Olson, and two brothers, Warner Clark and Jean Clark. Roy was the former owner/operator of Silo Manufacturing in North Liberty. He served his country honorably in the United States Army during the Korean Conflict. Along with being a loving husband, father, grandpa, great-grandpa, and friend, Roy was an active member of the North Liberty community. He served in the local Boy Scouts for more than 38 years as well as serving as a member of North Liberty Masonic Lodge #226, F & AM; Potato Creek festival board; North Liberty cemetery board (35 years); Chamber of Commerce; North Liberty American Legion; North Liberty Lions Club (Tail Twister, 17 years); Scottish Rite; and Orak Shrine, Michigan City. Funeral services for Roy will be held at 2:00pm on Saturday, February 16, 2019 at Palmer Funeral Home—North Liberty Chapel, 202 N. Main Street, North Liberty, IN. Graveside services with military honors will follow at Westlawn Cemetery, North Liberty. The family will receive friends from 1:00-2:00pm on Saturday at the funeral home prior to services. In lieu of flowers, expressions of sympathy in memory of Roy may be donated to Shriners Hospital for Children, 2211 N. Oak Park Avenue, Chicago, IL 60707-3392. Online condolences may be left for the Clark family at www.palmerfuneralhomes.com.